Considered among the most coveted sporting events in the entire world, The Stanley Cup is an eagerly awaited tournament that sees teams battle it out on ice for hockey dominance. 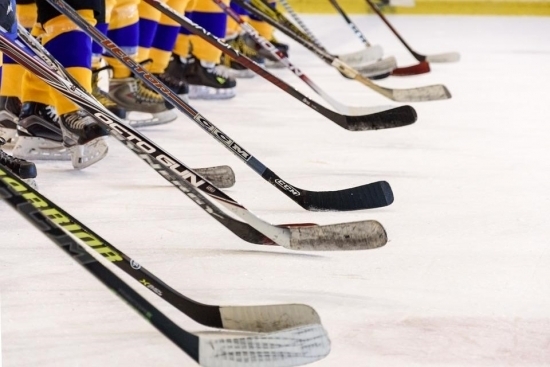 The high intensity and passion for the game of ice-hockey reflect in its player, fans, and bettors who enthusiastically wait for every season to commence. The game’s importance in the sporting world and its popularity is highlighted at the Hockey Hall of Fame in Toronto that features some of the all-time best hockey sportspersons. Tim Horton, Eddie Shore and Bobby Orr are among the few legends who get a spotlight for being the best of the best. With regards to the Stanley Cup, even though it is early, bookmakers have already stated their favourites. The following months will see the teams partake in various preseason games which will be interesting to follow and analyse. Heading the group of possible winners are the Maple Leafs, a favourite for both bookmakers and punters. They are always considered a good bet if you are an amateur and want to test the betting waters. With +650 odds they are among the top NHL expert picks for the 2019 season. The side has been going strong during the NHL preseason games having defeated Sabres and Senators quite comfortably. However, they have faced fierce competition from old rivals the Montreal Canadiens to whom they lost 5-1 in their last game. Along with the Maple Leafs, Tampa Bay is the only other team that has emerged as a top contender for the 2019 Stanley Cup. Odds of +800 means the bookmakers are already expecting for lightning to strike once the tournament begins, however, having lost 3 of the first five preseason games, doubts are sure to rise in the mind of bettors. It was only last year that the Vegas Golden Knights, in their inaugural season, became the first team since 1970-80 to make the playoffs. A big feat in itself, but the team then went on to win their division and managed to reach the finals of the Stanley Cup 2018. They did get in a little bit of trouble with the army who registered a case against the team’s use of colours and name, but that will do little to deter the energy running through its players evident from their preseason games. At +1100 odds, they will without a doubt be a hotly followed team by the punters who will be expecting the Golden Knights to repeat their spectacular performance from last year. At the end of last season, one of the earliest odds to be announced for 2019 was that of the Montreal Canadiens. The team hasn’t been among the top for quite a few years now, but are considered NHL royalty, and thus bettors are always eager to place bets on them. Listed at 50/1 odds to win the 2019 Stanley Cup, the Montreal Canadiens have the maximum wins ever in the cup’s history, and fans still cherish their four back-to-back wins in the '70s till this date.